There is no charge to participate in this webinar. 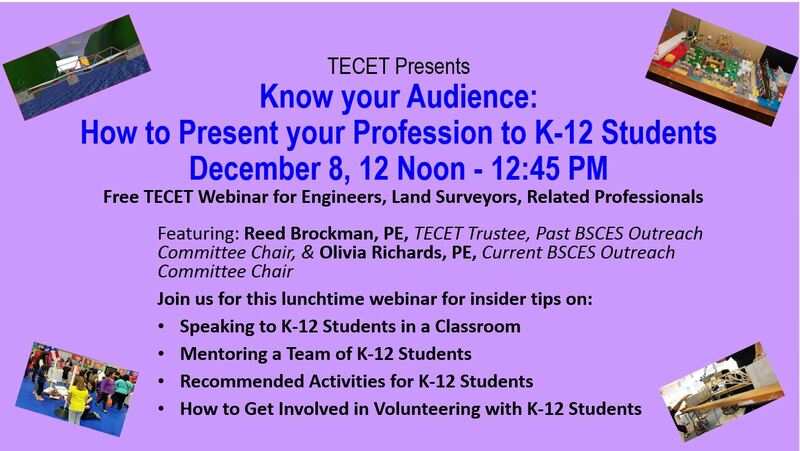 Professional Engineers, Professional Land Surveyors, and other Design Professionals living in Massachusetts are needed to inspire K-12 students about careers in these professions. Register before December 1 on Survey Monkey and we'll send you a confirmation with instructions. You can participate in this webinar by Zoom through your computer with audio through your computer or your phone. Learn about these opportunities to inspire the next generation of engineers and land surveyors.